A deposit of £100 of booking fee is required at time of booking. Balance to be paid 6 weeks prior to start of holiday along with £50 security deposit which will be returned within 14 days of departure. If you're looking to book at Rockley Park I'm hoping you'll love it just as much as I do. I originally lived in the North East and came to stay here for a week nearly 30 years ago and never went back! 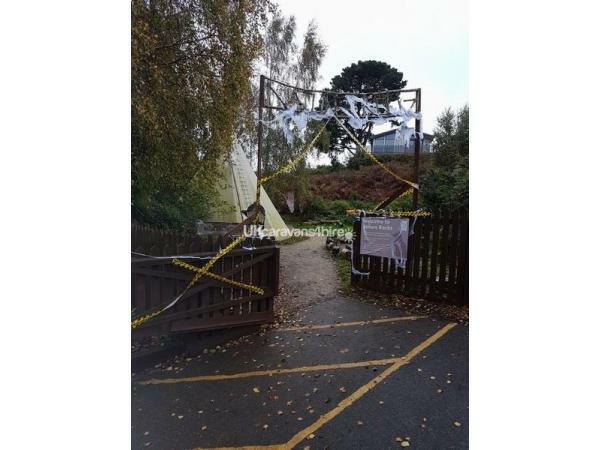 Rockley Park is open from March to December (although some facilities are not available after October, but then the park is lovely and quiet). I live locally, which is convenient for meeting my guests. 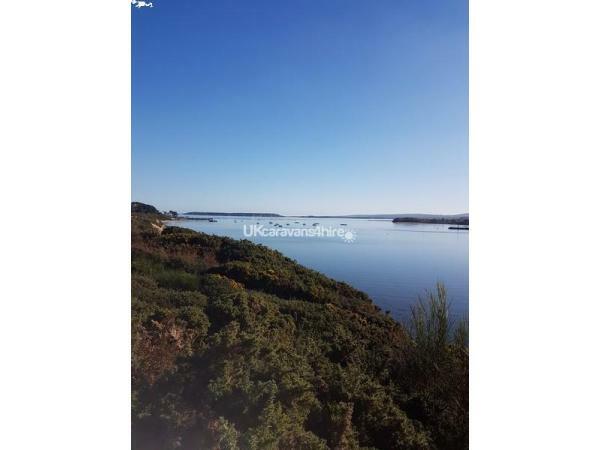 I have a vast knowledge of the area and every time I visit Rockley Park (which is often) I still get that sense of excitement and I can honestly say that no two visits are ever the same. Check in is from 2pm (earlier if the caravan is unoccupied) and Check out is 11am (usually 10am with most caravans, but I know how difficult it can be getting youngsters (and oldies) ready on time. 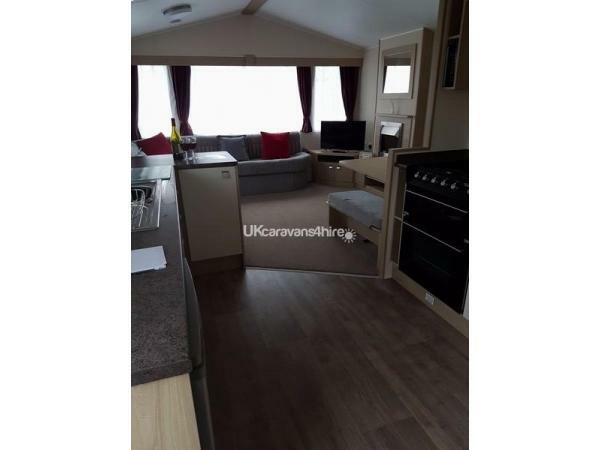 My caravans (I own two - Shirley and Valentine) are situated very close to each other which is great for larger families or groups of friends that want their own space. They are both situated on flat level ground, close to all local amenities (ideal if you have a pushchair or toddlers as some of the park is quite steep. It is also suitable for guests that just can't walk too far). 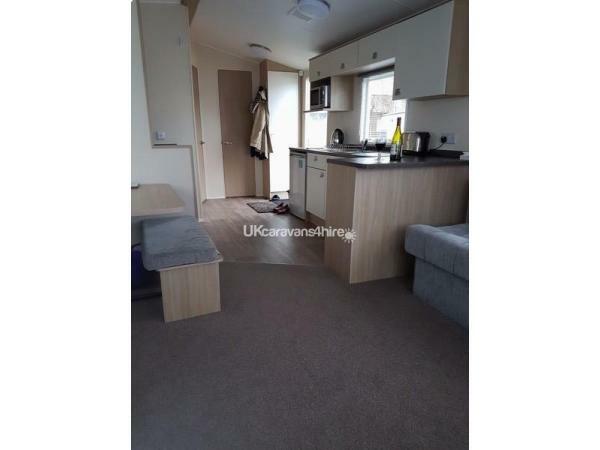 They both have a nice, modern, open plan feel and include a dining area and a fully equipped kitchen with full size cooker. 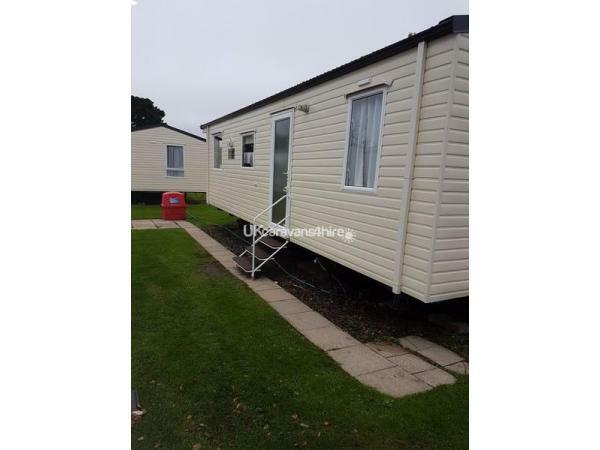 The caravans have two bedrooms and are the same. There is parking for one car beside each caravan. 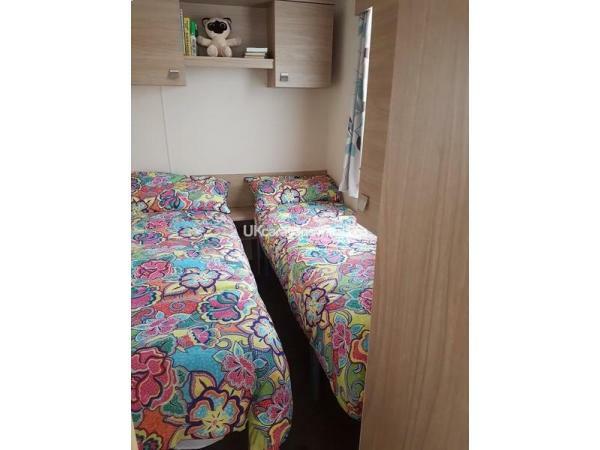 Each caravan has a double and a twin bedroom with wardrobe (smaller one in the twin bedroom), along with a pull-out double bed in the lounge area. 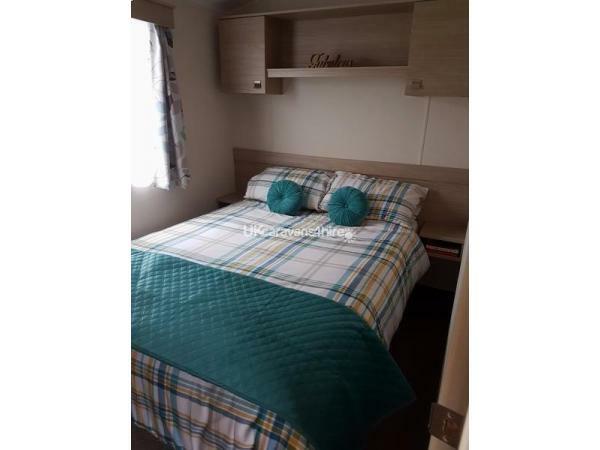 If 6 guests are occupying either caravan however, the pull-out bed will not be made up but fresh bed linen will be supplied. All other beds will be made up ready for you to occupy with fresh bed linen. There is a hair dryer for your use. Outside you will find a picnic table and chairs where you can relax (possibly with a nice glass of wine or just to keep an eye on the little ones). Everything you need for a week or two is supplied - that is everything except beach towels and of course food! I will of course provide you with enough tea and coffee for the first few days; after all, if you've travelled some distance your'e probably ready for a cuppa. There is a selection of DVDs in each caravan should you fancy a night in, or children’s DVDs should you require 10 minutes peace and quiet. There are also books and games supplied, which you will find under the bed in the twin room for the children. In addition, you will find a box of beach toys (i.e. buckets, spades, etc.) underneath each caravan for your little ones to enjoy. Tea towels, a bath towel for each guest and hand towels will be provided, so there is very little you need to bring - except yourselves and your clothing. I can supply a high chair if you need one (please ask). I can offer 3 and 4 night breaks or 7 night breaks (all year round). Please note; there are no short breaks available during July and August. Only 7 night breaks are available during this period. You will find a welcome pack with lots of information about the park and the local area that has been specially put together to make your stay as enjoyable as possible. Additional Info: Indoor and outdoor pools, outdoor sportszone, restaurants and takeaways along with a mini supermarket for all your daily needs. Fun passes are required for the pools and Live lounge. They are available separately.